Maximum packs that can be purchased is 6 (or 96 tablets in all – whichever applies first). This is a recommendation by both the MHRA and the GPC to all pharmacies such as us. If you order more than this you will be refunded any amount above the listed selling price. 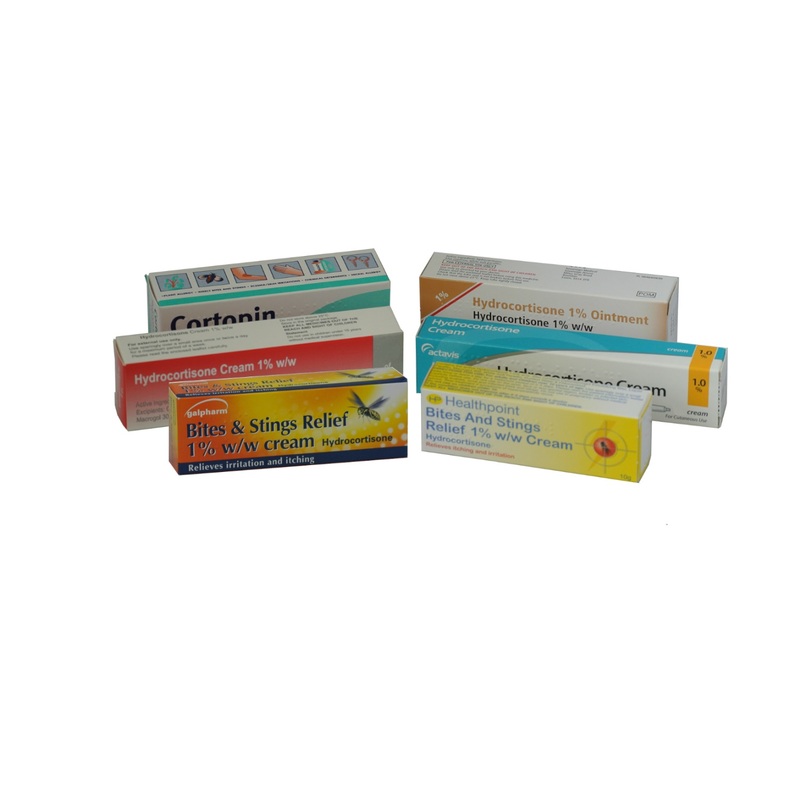 This product is a generic medicine with the same active ingredient as Nurofen and Advil 200mg tablets. Maximum packs that can be purchased is 6 (or 96 tablets in all – whichever applies first). This is a recommendation by both the MHRA and the GPC to all pharmacies such as us. 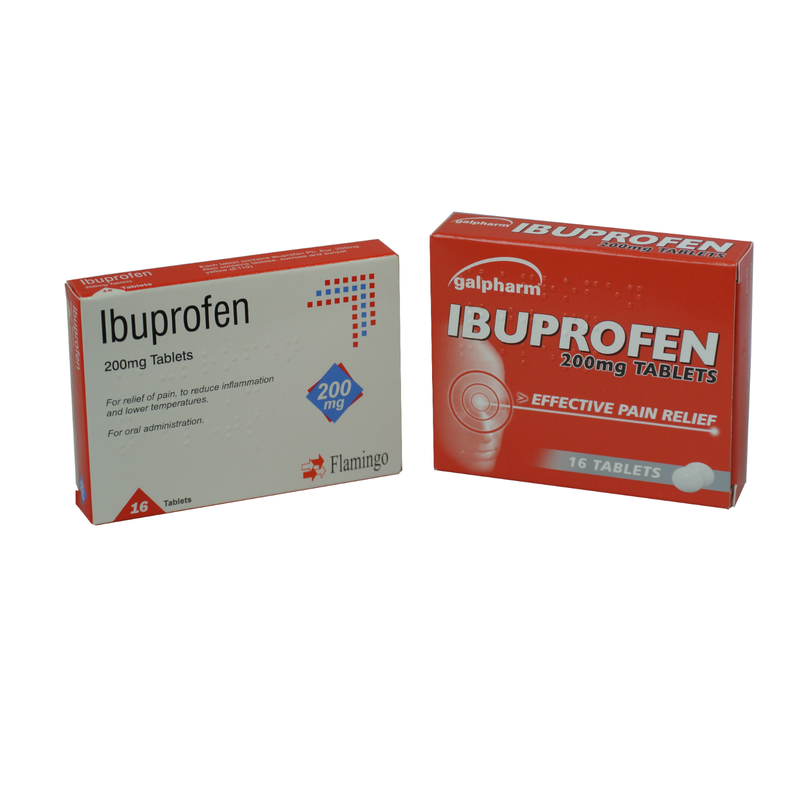 Ibuprofen is a NonSteroidal Anit-Inflammatory Drug (known as a NSAID). It is used to relieve mild to moderate pain (such as headaches, menstrual pain, back and muscle pains) as well as reducing fever and also helping with some types of pain associated with Arthritis and Rhematism. It works by reducing the hormones that cause pain and inflammation in the body and has been used for 50 years since its launch in the UK in 1969. It is important that you read and fully understand the Patient Information Leaflet before purchasing this item. first. Please view the section on Ingredients and Precautions. Check the foil is not broken before use. If it is, do not take that tablet. Maximum dose of 1200 mg per day in divided doses (200 mg-400 mg, up to three times a day as required. The maintenance dose will be determined on an individual basis (in the range 600 – 1200 mg per day). Leave at least four hours between doses and do not take more than 1200 mg in any 24 hours. To reduce the possibility of side effects if you are older, you should use the minimum dose for the shortest possible duration. Your doctor may monitor you for bleeding in the stomach. 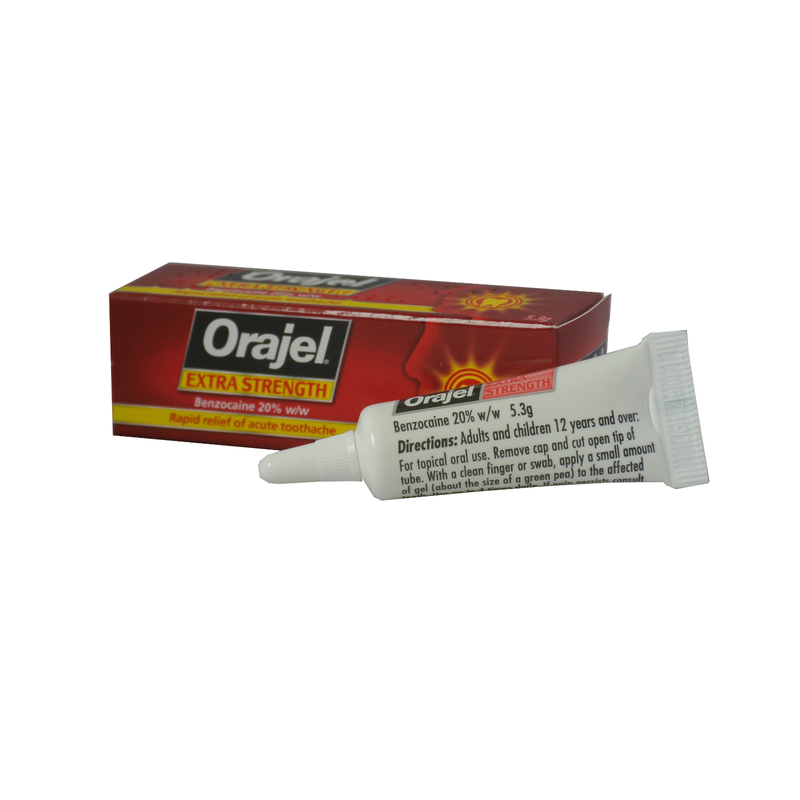 For oral administration and short –term use only. The lowest effective dose should be used for the shortest duration necessary to relieve symptoms. The patient should consult a doctor if symptoms persist or worsen, or if the product is required for more than 10 days. For immediate release preparations: 200mg -400mg, up to three times a day as required. For prolonged release preparations: 200 mg – 400mg up to twice a day is required. Leave at least four hours between doses and do not take more than 1200 mg in any 24 hour period. Do not give to children under 12 years, unless your doctor tells you to. The active ingredient is ibuprofen. The other ingredients are starch, colloidal silicon dioxide, sodium starch glycollate, stearic acid, hydroxypropylmethylcellulose (E464), talc and the dyes erythrosine (E127) and titanium dioxide (E171). are allergic to ibuprofen or any of the other ingredients of this medicine (listed above). are in last 3 months of your pregnancy. Do not take if you have a peptic ulcer (ulcer in your stomach or duodenum) or bleeding in your stomach, or have had two or more episodes of peptic ulcers, stomach bleeding or perforation. have systemic lupus erythematosus (SLE, sometimes known as lupus) or a connective tissue disease (autoimmune diseases affecting connective tissue). Anti-inflammatory/pain-killer medicines like ibuprofen may be associated with a small increased risk of heart attack or stroke, particularly when used at high doses. Do not exceed the recommended dose or duration of treatment. any kind of stroke (including ‘mini-stroke’ or transient ischaemic attack “TIA”). – have high blood pressure, diabetes, high cholesterol, have a family history of heart disease or stroke, or if you are a smoker. aminoglycosides (a type of antibiotic). Some other medicines may also affect or be affected by the treatment of Ibuprofen. You should therefore always seek the advice of your doctor or pharmacist before you take Ibuprofen with other medicines. The use of Ibuprofen whilst pregnant or breast feeding should be avoided. Ibuprofen should not be used in the last 3 months of pregnancy and should only be taken in the first six months of pregnancy on the advice of your doctor. Ibuprofen may make you feel dizzy or drowsy. Please do not drive or operate machinery if you experience this effect. If you (or someone else) swallow a lot of the tablets all together or if you think a child has swallowed any of the tablets, contact your nearest hospital casualty department or your doctor immediately. An overdose is likely to cause stomach pain, feeling sick, being sick, diarrhoea, ringing in the ears, headache, bleeding in the stomach or intestines. Please take this leaflet, any remaining tablets and the container with you to the hospital or doctor so that they know which tablets were consumed. If you forget to take a tablet, take one as soon as you remember, unless it is nearly time to take the next one. Do not take a double dose to make up for a forgotten dose. Take the remaining doses at the correct time. Do not stop taking your medicine without talking to your doctor first even if you feel better. If you have any further questions on the use of this medicine, ask your doctor, pharmacist or nurse. you vomit any blood or dark particles that look like coffee grounds. These are very serious but rare side effects. You may need urgent medical attention or hospitalisation. Very rarely Ibuprofen Tablets may cause aseptic meningitis (inflammation of the protective membrane surrounding the brain) especially in patients with an auto-immune disease e.g. Systemic Lupus Erythematosus (SLE) or mixed connective tissue disease; symptoms may include stiff neck, headache, nausea, vomiting, fever, disorientation. Ibuprofen has also been shown to sometimes worsen the symptoms of Crohn’s disease or colitis. Medicines such as ibuprofen may be associated with a small increased risk of heart attack (“myocardial infarction”) or stroke. If any of the side effects get serious, or if you notice any side effects not listed in this leaflet, please tell your doctor or pharmacist. You can minimize the risk of side effects by taking the least amount of tablets for the shortest amount of time necessary to control your symptoms.